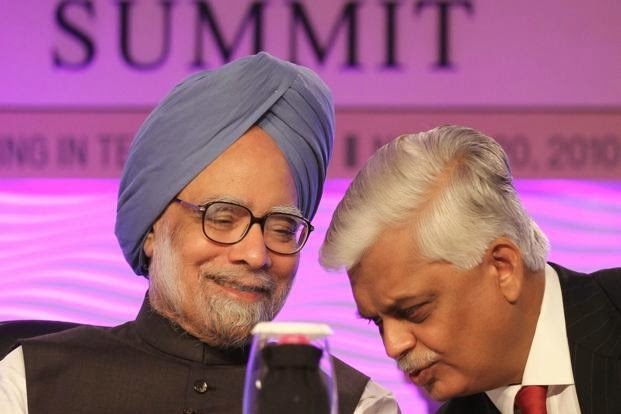 Dr Sanjaya Baru, Prime Minister Singh's former media advisor, who is in the eye of a storm over his book on the UPA under Dr Singh, talks to Rediff.com's Sheela Bhatt. Prime Minister Manmohan Singh's daughter Upinder Singh told the Indian Express that you have betrayed the prime minister's trust. She also alleges that you were never close enough to him to know the secrets, but in your book you give the impression that you knew a lot. Third, how can you quote-unquote Dr Singh when it is not double checked? Honestly, I don't want to react to the criticism of the book. I want people to read the book and take a view on its contents. Is my book fact or fiction, this question is raised. I believe it is fact based, obviously. If anybody says it is fiction, then there is nothing more I want to tell them. I had no reason to write fiction. It is about distrust. They think it is back-stabbing. Dr Singh trusted you and now you are coming out with a book narrating all that went on inside the Prime Minister's Office. Absolutely. If you read the book you will come to the conclusion that this is the strongest defence of Prime Minister Dr Manmohan Singh ever written till now. I would like to read any article or a book that offers a stronger defence of Dr Singh than what I have put in. Two-thirds of the book is, in fact, a defence of Dr Singh, less than a third is criticism of the things he did or didn't do, what I call acts of omission and commission. The readers of my book would not have found it fair if I had offered a one-sided view. They would have said it is a hagiography and all praise of my former boss. I have tried to give a balanced view. I have offered criticism which I think is legitimate criticism. I don't regard it as back-stabbing. It's an honest book. I left the government five years back and I am no longer part of the system. I am at complete liberty to write this book. Those who have an issue can question my facts. I don't mind it. You were merely a media advisor. Not the principal secretary, not even the personal assistant. How do you claim to know everything? I know you are trying to get more out of me than what I have written in the book. Designations do not matter in offices like this. It is what you do, the role that you are asked to perform that is relevant. There are several examples I have given in the book when Dr Singh asked me to do a certain job which was not the job of the media advisor. If the facts that are given in the book are incorrect or untrue, and if I am saying more than what actually happened, then those facts should be denied. I have mentioned that I was sent to talk to (Communist Party of India-Marxist leaders) Prakash Karat and Sitaram Yechury to check if they would support the Budget of 2004 or not. I have given the example of how I was sent to convey a certain message to President George W Bush through Ashley Tellis. I have restricted myself to give only those examples that would interest readers and show how Prime Minister Singh strengthened his prime ministership. What about the ethical question? How can you quote-unquote the PM on what he told you in private? There are only a couple of quotes in the entire book. And where I have quoted him while talking to others, I have taken those people's permission. Where I quoted him talking to me, it is my judgement. As I have said earlier, the book is probably just 50 per cent of what all I know. I have been extremely careful in writing whatever I have written. I have deliberately not written what is not written. I will not be drawn into public interviews, comments and debates to say more than what all I have said. Did you mean to help Dr Singh with your book? Not at all. That wasn't the purpose of the book. I have said in the introduction, it was to offer an account what has happened. Since the last two years we have seen enormous criticism, ridiculing the prime minister. He has been made into an object of jokes. It certainly hurts. I think this man deserves lots of good reviews which is what I have recorded in the book. His contribution to social policy, his contribution to the economy, his contribution to coalition management, his contribution to foreign policy. The United Progressive Alliance has been in power since 10 years. I have written an entire chapter on the Manmohan Singh doctrine. In fact, many international policy-makers and reviewers have criticised me, saying what nonsense! What doctrine are you talking about? But the fact is these are the worldviews within which Dr Singh pursued his foreign policy initiatives. The book is not to please him or hurt him; it is written to place on record both his contributions as prime minister and his deficiency, particularly his deficiency as the political leader. The prime minister is not a Cabinet secretary; he is not the principal secretary, he is not a government official, he is the political leader and that is the failing of his that I have recorded. I am saying what lots of others have been saying. I am saying it now. You could have said it so much before the election or after the election. But you did it now so people are calling you an opportunist. This is not opportunism. I am not passing the buck to the publisher. My intention was to publish after the election, but I was persuaded to publish it now. I take responsibility, but you can check with my publisher Chiki Sarkar, that there were several rounds of discussions over it. She argued that nobody would be interested in Manmohan Singh once the elections are over. I do think that after June this book would have fallen into an abyss. I genuinely believe that the media would have forgotten Dr Singh after the election. In fact, the Congress party had forgotten him in the election campaign till Mrs Gandhi suddenly said he should be campaigning, too. Somewhere I have revived the public's interest in Dr Singh. Don't you think his legacy will be marred? I don't want to say anything more. Did you speak with Dr Singh when were you writing the book? I started writing the book on February 1, 2013. From that day to December 30, 2013, I didn't meet Dr Singh. He called me to thank me for drafting the speech that I had written. Two, he wanted my help in drafting the statement that he was to make before the national media on January 3. I helped in preparing the statement. In 2013, I didn't meet him till he asked me to see him on December 30. The funny thing is that some people in the PMO were telling journalists that I was seeking an appointment and Dr Singh was refusing it. I had actually called the PM's personal secretary and told him about it. I choose to not meet him because I was writing this book. On December 30 I did tell him about the book. I told him that I have largely written about UPA-1. He didn't ask me any question. You have described how he was about to appoint you again in the PMO, but that offer could not materialise. Now, the Congress is saying that you are disgruntled, hence, this book. First of all, I didn't seek the job. I was asked to come back from Singapore where I had a teaching assignment. I resigned from the job. I came at my own expense. Of course, I was unhappy with what happened. But if I was disgruntled I could have usedBusiness Standard, as I was its editor for two years, to attack Dr Singh. In fact, you can check with (Business Standard Editor-in-Chief) T N Ninan and my colleagues. There was an accusation that I was too soft on the PM, that I was always defending the PM, that I was refusing to criticise Dr Singh over the 2G scam. In fact, they thought it was hurting the reputation of Business Standard. I could have used the opportunity to settle scores. I didn/t do so. The whole argument that I am disgruntled is utter nonsense. I have written a fair and objective book. Essentially you are not a Congress person. You are Manmohan Singh's friend. The idea of the book is to take on the Congress party. You wrote the book to describe the two centres of powers. That is nothing new. It is well-known. I am just confirming what people have said before. People in the government and retired officers are calling me and confirming what I have written. You have straightaway served the interests of the BJP and Narendra Modi, due to the timing of the release of the book. I don't see it that way. If it is a byproduct, then I leave it at that. I did it to get more readers for it than what I would have got three months from now. What moved you most in the PMO? I was certainly moved by the simplicity of Dr Singh. The way he conducted himself in his office was exemplary. Then, in that case, why did he turn into an object of ridicule on social media? That is what I am saying. I was very upset to see that. What was the turning point? Why could his simplicity not turn into his strength? Because, his real personality was not projected by his office, not even by me! He refused to allow us to project his real personality to let the people of India know exactly what he really was. He was always shying away from greater public exposure. For the reasons I have explained, which is that Sonia Gandhi was the leader and he wanted her to be in the forefront. Whenever the opinion polls have come showing Sonia Gandhi ahead of him in popularity charts, he was happy with that. That is the reality. Actually, this book is not about Dr Singh. It exposes Sonia Gandhi's role behind the scene. Not at all! That is not the correct way to read the book. The book is about Prime Minister Manmohan Singh. I wish there was more discussion about the PM's foreign policy. I have written four solid chapters about it. Digvijaya Singh has said the book is funded by Modi. I don't want to comment on it. 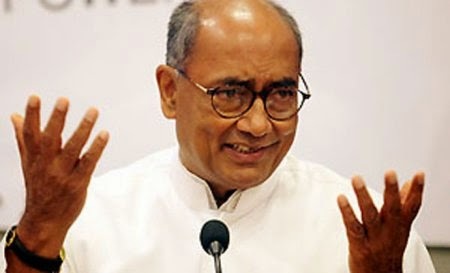 Digvijaya Singh is my friend. Even Dr Singh used to say 'Oh, your friend Digvijaya'. When I was in the PMO, Digvijaya Singh used to call me whenever he wanted to see the PM. He used to go through me. He is under compulsion to criticise me, but I am under no compulsion to criticise him. You have given interesting insights into the media too. Like, you have said how Dr Singh called up Prannoy Roy and scolded him. Prannoy is a well-respected editor. But it is true that Dr Singh regards him as his former student, former colleague. It was not at all a negative comment on Prannoy. I wanted to show how Dr Singh thought about some people. No politician prime minister would talk like that. Dr Singh didn't think like a politician and didn't react like a politician. A politician normally flatters you in your face and criticises you behind your back. Dr Singh called Prannoy and complained about the story straightway. Why has this tag of being a meek prime minister stuck to him? See, whenever he wanted to be firm, he was firm. But, he was not always firm. He was not equally firm on many issues. I would say he may have his reasons, but I was not happy with that. I have lots of personal affection for him. I have not written out of anger. It is written partly with a sense of sadness. I dislike him becoming the object of ridicule. That is why I wonder why his office has reacted so strongly. 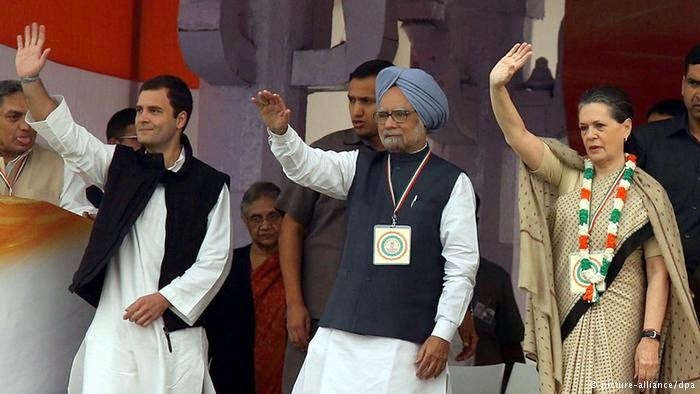 You have written that Sonia and Manmohan Singh had cordial relations. On the other hand you say the PM could not assert his authority of being the PM. Why this contradiction? There is no contradiction. They had a perfect relationship. 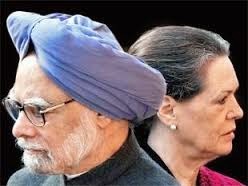 But Dr Singh came to terms with the fact that on many issues the buck did not stop with him, the buck stopped with her. He came to terms with it, as he himself said to me. There is no contradiction in having a good relationship with a person and accepting that that person will have the last word. That is my criticism. I wish on some major policy issues, as he stood his ground on the India-US nuclear deal, he should have been more assertive. That is all I am saying.